Valentine’s Day– too sweet or not too sweet? Valentine’s Day is fast approaching. Along with Thanksgiving and New Year’s Eve, it is one of the biggest wine and champagne holidays of the year. Wine and Valentine’s Day just go together. If you want a dry, crisp sparkling wine that is not too sweet, buy a BRUT. If you want a just a bit more sweetness, pick up an EXTRA DRY. This can be confusing because when it come to still wines “extra dry” means less sweet, yet it’s the opposite when we are discussing sparkling wine. 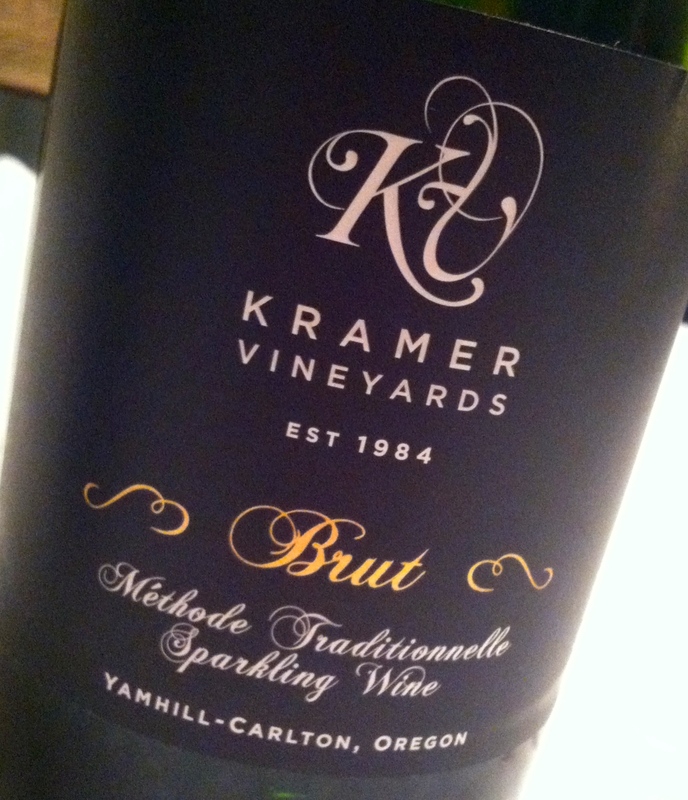 BRUT is also a very good choice for mimosas since the juice that it is being mixed with will have sugars in it so using a drier sparkler will give your drink more balance. EXTRA DRY is a good sipper and pairs quite nicely with spicy foods so if dinner on February 14 calls for a lot of heat, perhaps go with a bit more sweet. Another fun pairing with bubbles is french fries! Truffle fries and a nice brut sparkler are a great match. The acidity of the wine works perfectly with the salt of the fries. Try potato chips or popcorn as well! It is a fun way to be fancy and funky at the same time. These designations apply for champagne, sparkling wines, cavas, and proseccos. Happy Valentine’s Day from Winerabble! This is a good reminder on something that CAN be a bit confusing! I love that you can find bubbles at several of our local wineries! The Kramer in the photo at the top of the post is a personal local favorite. This is so helpful! Why did they make it so confusing by calling sweet sparkling wine Extra Dry?! Eesh. But glad you are here to help make sense of it! Thank you-glad to be of service! There are more designations but I felt these were the two that most people knew about. I don’t think I ever knew that! Thank you–extra dry sounds too sweet for me. I did NOT know that! Thanks for the tip. I usually just ask the wine person at the grocery store, but now I can do a little more bubbly shopping on my own. Glad to help and make your shopping process easier. Good to know, I’ll have to check out the Extra Dry, I am definitely Team Sweet! I have friends who use extra dry with grapefruit juice. Not my thing but it may work for you. 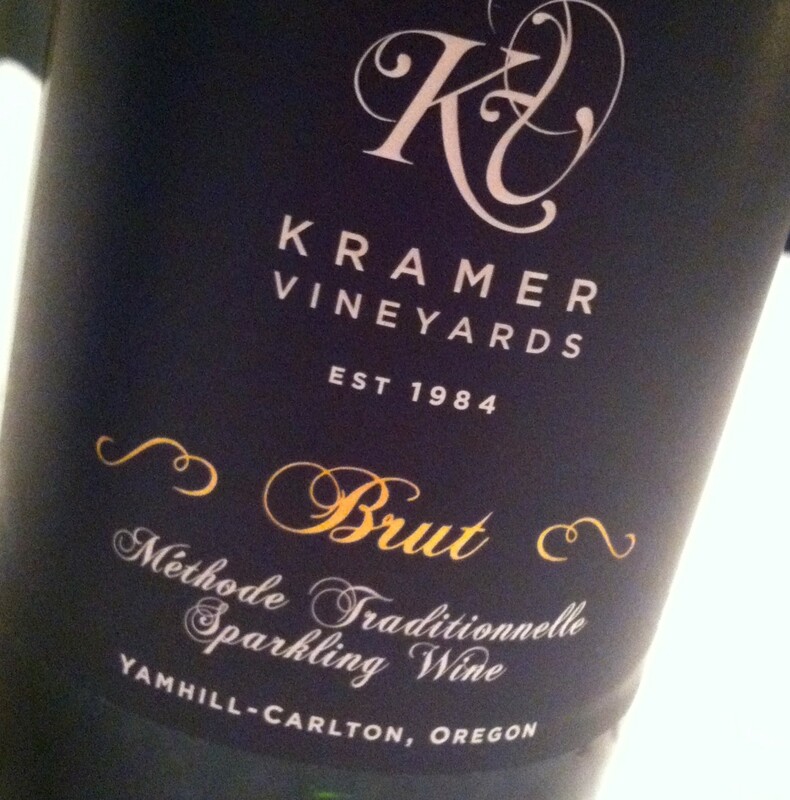 I love a good Brut. Sweetness and I, when it comes to bubbles, anyway, do not generally get along. Happy Valentine’s Day! I love wine with salty foods… Thanks for the info! Glad to help. It was a great revelation in my world.